Built in 2017. 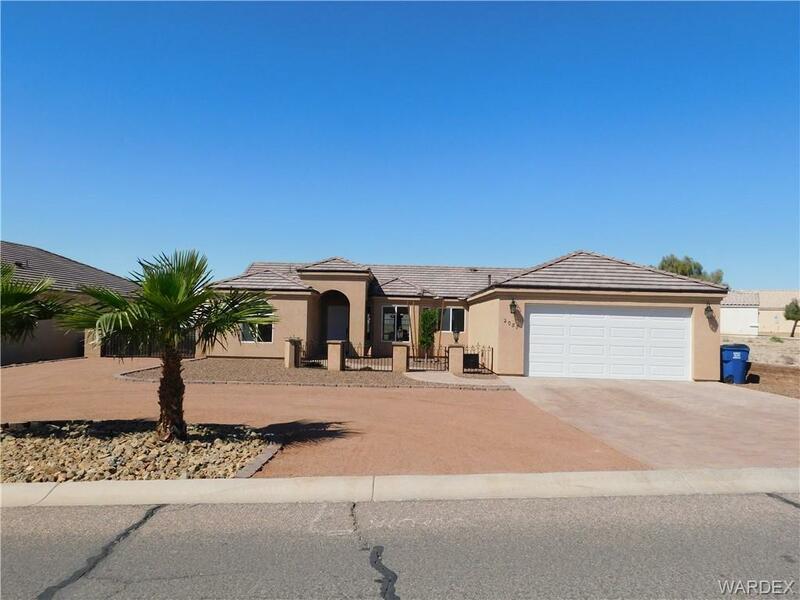 3 bedroom 2 bath, Granite counters, custom Cabinets. Edison lighting thru out the home. Split floor plan, vaulted ceilings. Stainless appliances, pantry, Spacious Laundryroom. Master bath, Claw tub and extra large tile & pebble walk in shower. Vessel sinks. Block wall fenced with custom wrought iron. Custom horse shoe & fire pit. Mountain views. Garage is boat deep. Custom paver driveway. Low Maintenance landscape, RV parking with hook up options. RO & Water softner. Recessed lighting on patio, duals as bluetooth speakers!